There are a lot of things that upper Bucks County is known for. We have farms, Nockamixon State Park, and Doylestown just to name a few. Upper Bucks County is a great place to live. One of the things I wanted to investigate was the vegetarian and vegan options available in the community. Now, I know that the majority of Bucks County eats meat, however, with the increasing number of people going vegetarian or vegan, there needs to be more meatless options. One of Pennridge’s favorite places to eat is the Perk. A local restaurant that that has been part of the community for decades. While looking at their menu, I noticed a lot of good things. The Perk has a lot of vegetarian and vegan appetizers and salads. The soups and main courses, on the other hand, not so much. However, there is a sandwich and a wrap available. Overall, I feel that if someone who didn’t want meat went to the Perk, they would be able to eat something. I give it a 5/10 for vegetarian and vegan options. Another Pennridge favorite is Hawkeyes. I was very surprised to see Hawkeyes had quite a few options. They had 4 starters, 3 salads,1 sandwiches, and 3 entrees that were all vegetarian. They can also make pizzas and strombolis vegetarian. Overall, Hawkeyes is a decent place to eat for vegetarians and vegans. I would give it a 7/10. Another local restaurant is the Rockhill Filling Station. Now this place, does not have a lot of meatless options. They have two appetizers and two dinner options that are vegetarian friendly. They also have salads, but, like everyone else, we plant eaters tend to avoid salads. I would give the Rockhill Filling Station a 3/10, only because they have my favorite eggplant parmesan. 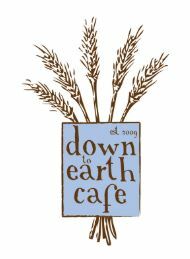 Last is the Down To Earth Cafe. This place has about 16 meatless options which is a treat for most vegetarians and vegans. The cafe gets a 10/10 for being plant eater friendly. Many local places will have vegetarian and vegan options apart from salad. As, more and more people are going towards a plant-based diet, local places are catering towards them. One Pennridge student, long time vegan, Kayla Yellen says, “I honestly think local places are better than chain restaurants in terms of vegan options.” The Bucks County area has definitely adapted to vegetarians and vegans. Long time Bucks County resident, and lifelong vegetarian, Ram Kallur says “I have definitely seen an improvement in local restaurants in the past 10 years.” There are a lot places with vegetarian and vegan options. In places like Doylestown and Quakertown, there are places that are solely meant for meatless food. Ethnic food also has many options for meatless food. As a vegetarian myself, I think Mexican food has a lot of options. Even if you are not vegetarian or vegan, go out and try some food. You might just be surprised about how much you enjoy it.